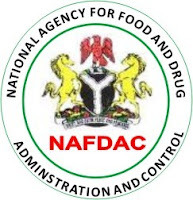 Officials of the National Agency for Food and Drug Administration and Control, NAFDAC and mobile Police men attached to its enforcement directorate were yesterday attacked by traders and touts in Lagos and Ogun States. A statement signed by Anselm Okonkwor Public Relations Officer, Enforcement Operations, NAFDAC, said that the attacked enforcement teams of the agency were on a nationwide raid for fake, unregistered, counterfeit and suspected contaminated vegetable oil in major markets and distribution channels in the states when the traders and touts swooped on them seized some of the products already evacuated by the teams and beat up one of the Agency’s staff identified as Miss Evelyn Chiemeke. According to an eye witness, the exercise which was almost successful turned rowdy when the members of the Union at markets trooped out in their hunadreds with the help of ‘area boys’ preventing the enforcement team from evacuating the offending “MOI Vegetable oil” and other products already seized from the markets. From Mile 12, to Ikorodu, Sango Otta, Alaba-arago in Ojo, Boundary market in Ajegunle, Suru Alaba and Oke-arin markets, there were pockets of attack on the officials despite the presence of armed mobile police men attached to the teams. At the Ikorodu market where four shops were sealed, 438 gallons of fake vegetable oil valued at N6, 576,000, and two traders arrested, the officials narrowly escaped mob attack as the traders resorted to carrying all forms of weapons for a free- for- all at the instigation of a market leader who later admitted being the importer of the unregistered vegetable oil from Cotonu into Nigeria. At Sango market in Ogun State, where NAFDAC aofficials were also assaulted by the market Union members, six shops were sealed and one of the staff of the Agency was roundly manhandled. At Alabarago Market in Ojo LGA where the team forced open a warehouse stock with fake products after the owners had absconded on the sight of NAFDAC’s official, one of the Mobile Police men attached to the team was attacked and almost lost his gun to the mob in the process. Idowu expressed surprise on the shocking discovery of unhygienic warehouses right inside the markets, adding that consuming such vegetable oil refilled in such a dirty environment would not only expose consumers to infections but could lead to untimely deaths. “We have been going round other markets. This is Ajeromi market. We have seen smuggled oil and we have seen equally a place where they are refilling empty kegs of registered oil like Kings vegetable oil. They are refilling them with adulterated oil. We also have Emperor Vegetable Oil that is also being refilled. He further warned the public that by NAFDAC definition, any regulated product not registered is considered as fake because such products have not been tested or certified fit for human consumption by the Agency. The NAFDAC officer who x-rayed the health implications maintained that consuming such oil is tantamount to taking poison. “Allowing it in public domain is 10 times risking the lives of poor Nigerians. You could see the unhygienic environment where they operate and there is no way NAFDC will approve any repackaging or refilling of any edible oil in this market,” he added. He explained that the exercise was a continuation of its nationwide regulatory exercise aimed at ensuring that Nigerians consume healthy oil as studies have linked consumption of adulterated vegetable oil to rise in heart related diseases. On the seizures in various markets visited, he said: “At Alabarago market, a total of 1,040 kegs of “Moi vegetable oil” were found, thousands of products mutilated labels, six shops sealed but evacuation hampered by members of the union and area boys. One of our officials by name Evelyn was beaten up by the mob who also attempted to collect the gun belonging to one of the mobile police men. “At the Mile 12 Market in Kosofe LGA, a major distributor of fake vegetable oil was raided and market men and women in their hundreds trooped out and assisted by touts to cause commotion thereby preventing the team from raiding other shops. 33x 25Litres of the offending “MOI Vegetable oil” were eventually evacuated to our office. Two arrests were made and another 438 gallons of 25litres valued at 6,576000 were discovered. Also 247 were evacuated at Ikorodu market while 55 gallons were kept on hold after forcing the shop open due to the uncooperative posture of the traders,” he explained.